New York has a gorgeous ambiance with spidery gothic stairs decorating every block. 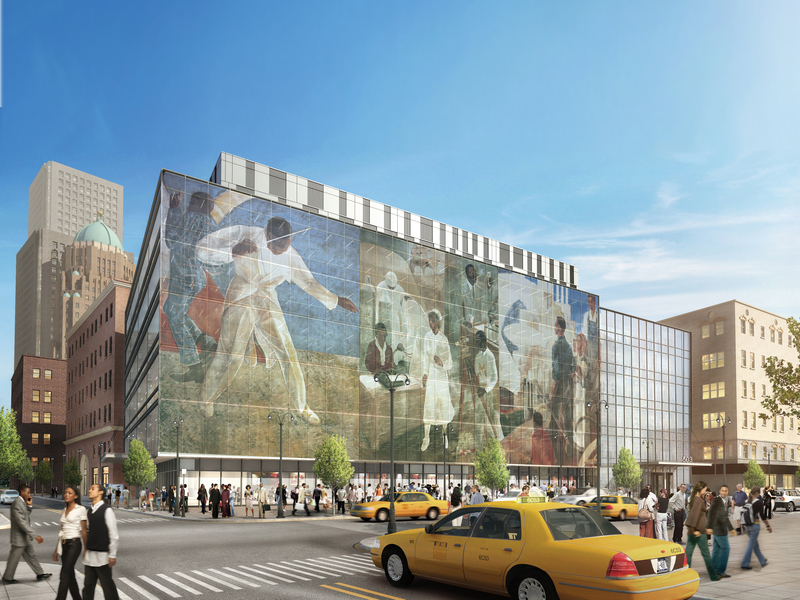 Even traditionally deprived boroughs such as Harlem retain a nineteenth century elegance. Where grown men spend all day on stairwells lined with melting candles and receive customary visits from NYPD. Rent must be lower here. Plump mamas in flowery dresses sit on sandblasted pavements and ugly billboards see profits in small wallets. Likewise I find myself looking for a bohemian household in ‘Upper Upper’ West Side and settle down for seven days in northward bound 151. Unlike in Europe, the American way is mathematical and entirely logical and by virtue of N, E, S, W the numbers will determine your final destination. A warm hearted girl just graduating from college offers me directions from the subway. She has warmth and human grace. Generous to a fault. With sparrows roosting on barbed wire fences and a Penguin guidebook in my hand, I discover America at first hand. One hot weekday morning, I was sold a donut for a dollar and my unfamiliar accent provoked a polite reminder that ‘service’ is not included. From the wide expansive roads, bumper sized vehicles and gluttonous drinks bottles, even the smallest of purchases are rewarded with a super sized bag; a branding exercise that is thrust into your hand and displayed to millions. Nothing is done here by accident, it’s all about show. Rattling downtown towards the mindless consumption of Times Square, I unearth a more commercial vision of America. It pays good value to get confirmation of what you already know. Despite having reservations that New York would be a twentieth century museum in the 02’s, the city still dwarfs my progressive European continent. Slamming on my headphones and walking through the electronic grid at night, New York’s scale of ambition is absolutely astonishing. With millions of cameras flashing and uploading every second, the city is being embalmed for future generations. These metallic tablet coffins reveal a desire to share and activate human existence. For this is not a city, it’s a modernist civilisation and like the great old empires of Constantinople, New York captures the zenith and essence of our carte de viste obsession. Breaking free of interior rules, the Great Gatsby screens at every movie theater and captures the spirit of the age, where the technological and social plates of a new century are colliding just like today. New discoveries such as electricity, gasoline and urbanisation sparkle together like a false beacon of hope and that is why Fitzgerald is so compelling to modern audiences. With underwater cables creating a new global universe there is an unspoken kindred spirit with the 1920’s. Flickering on and off, on and off, there is a revolution taking place underneath our fingertips and we are only moments away from emotional chaos. New York’s constant flicker has a transformative quality but what once felt shining and beautiful is now seemingly false. Hot and pulsating throughout the summer, the Upper West Side became submerged by a cold rainforest on a lonely Sunday evening. Fittingly the genteel brownstone mansions are a good deal romantic – a secluded writer’s enclave far removed from everyday life. The poetic ambiance in the East Village is like Shoreditch with trees and literary aspiration. 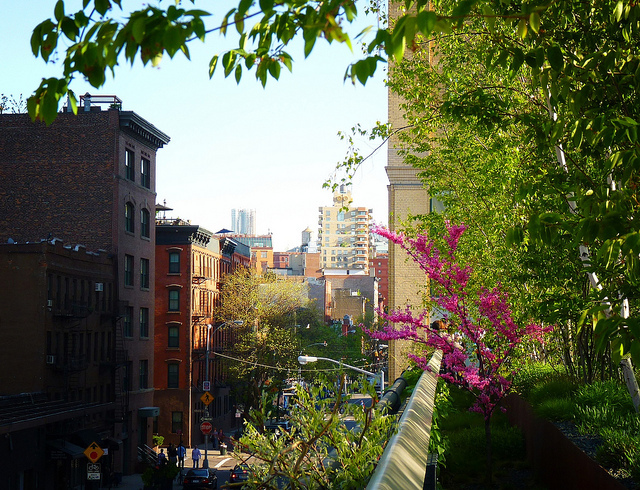 Further west in the former meatpacking district, the urban renewal of Chelsea’s High Line is a fabulous place. And nothing quite captures the zeitgeist of the new century as a design obsessed urban walkway borrowing motifs from the industrial past. The future does not exist; the only thing that matters is now. How on earth can I contribute to this city? It feels like my time is up and the world is spinning so fast that surely it can only collapse – a doomed sparkle of chrome and broken glass. For I’ve now walked the streets of Manhattan Island, where millions arrive on mass and forge together an extraordinary human experience. New York, 2013 still matters, the lights remain brighter, buildings taller and intensity greater than ever before. This is civilisation on a grander scale.